Recently I’ve been digging our boxes of old photographs, and boring all my Facebook friends by posting lots of scans I made from them. I seem to remember this particular batch came as a result of a stroll along the quayside of the River Tyne during one of the vacations when I was an undergraduate. I’m not very good at keeping records (or taking pictures for that matter) but at a guess I’d date them as 1984. 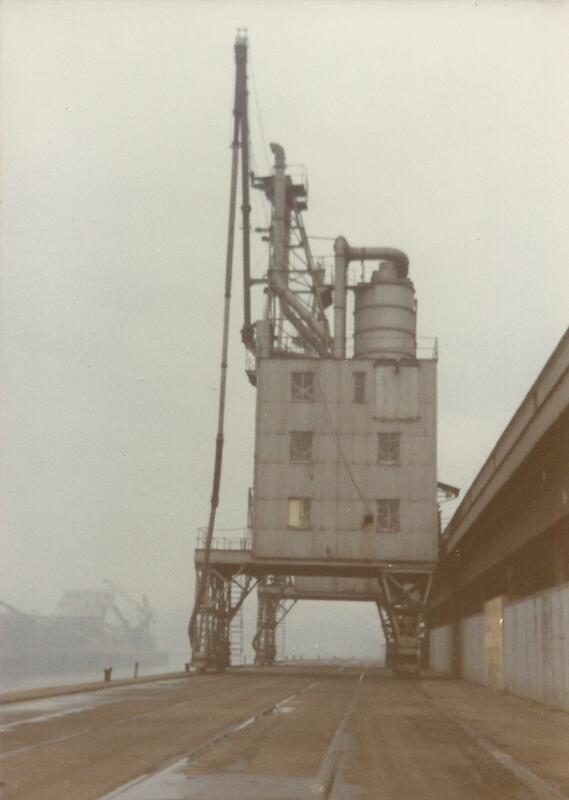 I’ve posted them partly because I think they’re quite atmospheric – there really was Fog on the Tyne that day – but also because the views they depict have long since vanished. For example, there is now a new bridge – the beautiful Gateshead Millennium Bridge – roughly at the position from which this first picture was taken. In the background (i.e. to the West) you can see the iconic Tyne Bridge and the Swing Bridge. 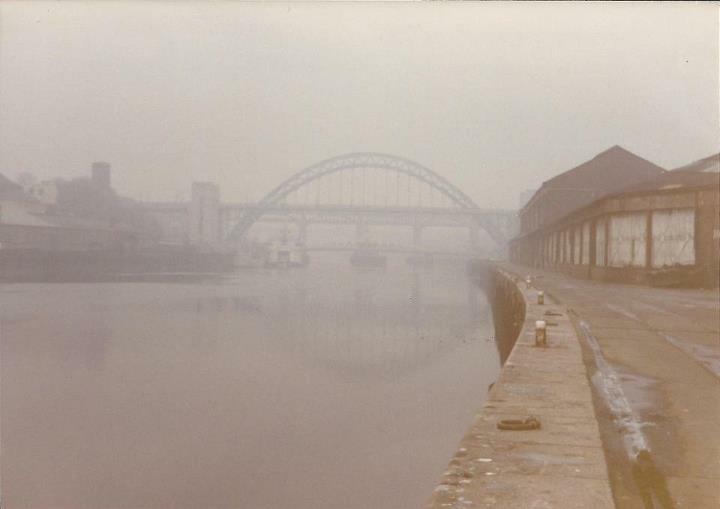 Notice also that in those days the quayside to the right (on the Newcastle side) was virtually derelict; now it is buzzing with fancy cafés, bars and restaurants. In those days the Quayside was a rough and rather dangerous place, especially at night. 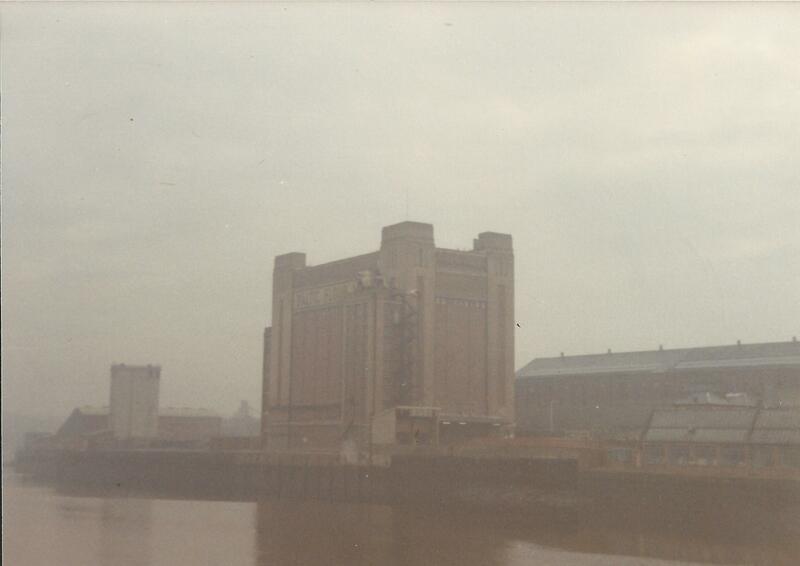 This one is of the Baltic Flour Mill, on the Gateshead side of the River Tyne, in the days when it was a disused flour mill. It’s now a famous art gallery and exhibition space, the Baltic Centre for Contemporary Art. 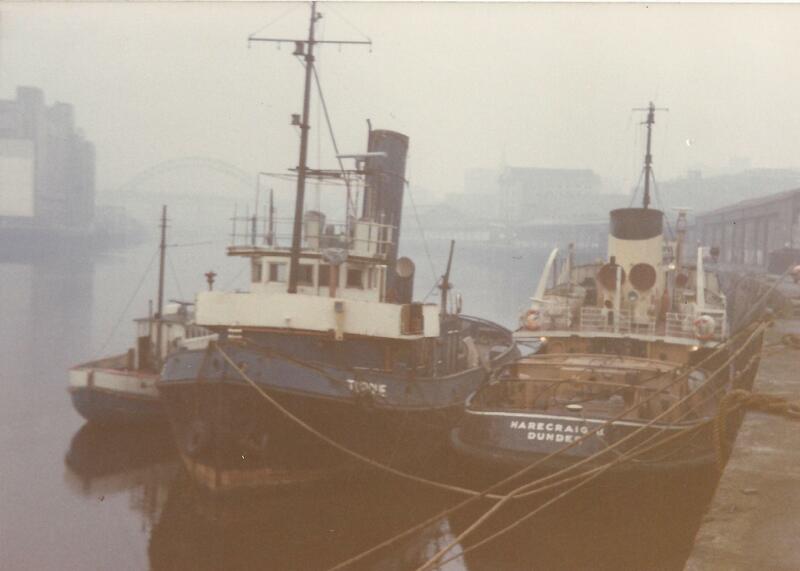 Next one shows a couple of trawlers tugs (see comments below). In fact there is a famous Fish Quay at North Shields further along towards the mouth of the Tyne; it dates back to the 13th Century. And finally this contraption, which I assume is long gone. I never worked out what it was for. Any suggestions? I wasn’t intending to watch last night’s Opening Ceremony for the 2012 Olympics, but in the end I did. I found it unexpectedly wonderful, in a wild and rather surreal way, especially when it made a point of celebrating one of the things I think we British can be truly proud of, our National Health Service. Somebody posted on Twitter Danny Boyle’s introduction to the show from the programme. I can’t put it better than he did. The irony, of course, is that the Olympic games aren’t really for everyone; they’re mainly for the benefit of the few multinational companies who’ve purchased the rights to sell their merchandise, including junk food, at the events and to have large parts of London closed down so they can ply their wares. And for the legions of corporate guests and other hangers-on who’ll fill their bellies over the next few weeks. Not far from the ceremony, Police used draconian tactics to stamp out a protest by a group of people who had the nerve to cycle in the Olympic lanes; 200 were arrested. The right to demonstrate is an essential part of a democracy, but it too has been sacrificed on the altar of commercialisation. But I think the irony was deliberate. A Tory MP, Aidan Burley, moaned on twitter that the ceremony was full of “leftie multi-cultural crap”. People like him symbolize everything that is wrong with modern Britain. I think Danny Boyle conjured up something special last night, the image of a Britain that most of us, and especially our politicians, seem to have forgotten. Not one about greed, warmongering and xenophobia, but one of creativity, freedom, and generosity of spirit. It must have made members of our government very uncomfortable, especially because they paid for it. And I should also add another thing I liked about it. It was very British. Not in an arrogant or pompous way. There was, after all, plenty of self-deprecating humour on display, especially Mr Bean’s appearance with the London Symphony Orchestra. In amongst the MacDonalds and Coca Cola logos, I find that very refreshing. I do wonder how much of it was understood by foreign viewers, but that’s not the point. The world is more than a dreary retail park in which every shop sells the same tat. You don’t have to eat pork scratchings or drink warm beer if you don’t want to, but some of us over here rather like them. I don’t care much about the actual games, and probably won’t watch much on TV, but I do hope the message of the opening ceremony isn’t forgotten.